We’re lucky to live in a time where there are so many amazing stouts flooding the craft beer market. There are milk stouts. Flavoured stouts. Imperial stouts. Barrel-aged stouts! The choice really is exceptional – which makes choosing just one to review a tricky task. 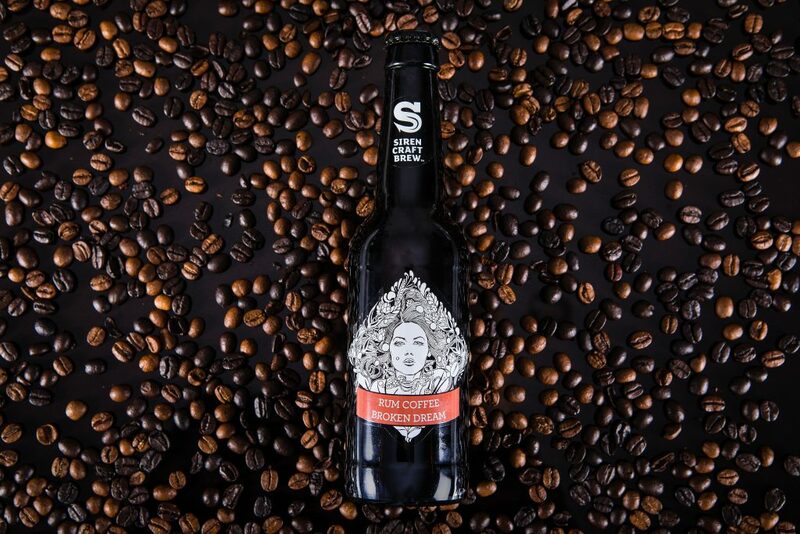 That was until Siren Craft Brew released the rum coffee variation of their core range stout, Broken Dream, as part of their barrel-aged coffee project. The name alone ticked all the boxes. Rum and coffee and stout: what’s not to like? Admittedly, selling Rum Coffee Broken Dream to me is like shooting fish. You see, I have a long and dedicated relationship with stout that goes back to my formative drinking years. I can still remember the sight of a mate’s dad drinking this eye-catchingly thick, black pint which had a creamy white head in my local rugby club. It looked like no beer I had ever seen before. While my friends stuck to the lager, I became a little obsessed with the cold black beer on the bar in front of me. It really did stand out, like a black cat pawing its way through unspoiled snow on the lawn. I liked to be a bit different, so I immediately ordered a pint. To my untrained tastebuds, it was delicious: like drinking cold coffee with booze in it, and a world apart from the fizzy, flavourless lagers I had been acquainted with before then. It didn’t hurt that I thought I looked cool too. That sophisticated black beverage in front of me made me feel like legendary Irish boozers such as Richard Harris and Peter O’Toole – men who were only too fond of the black stuff. By the end of that evening I felt a smug satisfaction in my choice of beverage (despite the inevitable unpleasantness of a stout hangover the next day). The seeds had been sown, and stout would be my alcoholic drink of choice from that day forwards. All of which makes me well-suited to carry on talking about stout – and, I hope, this Rum Coffee Broken Dream in particular. 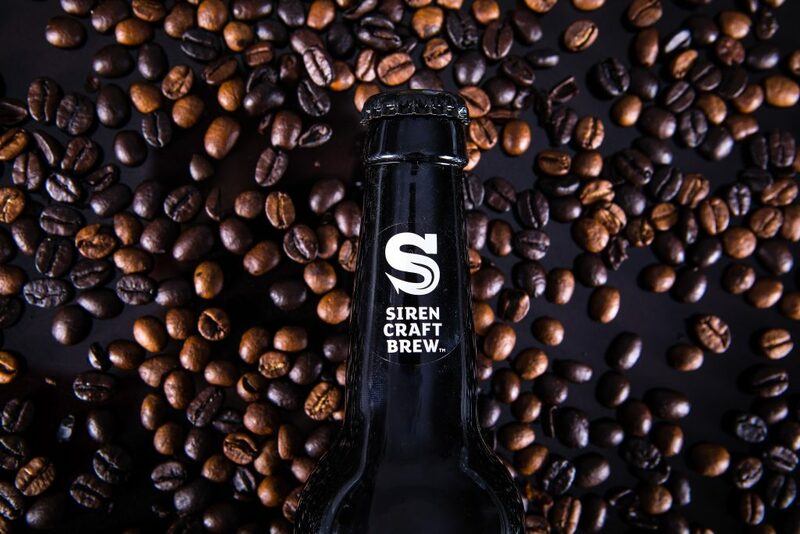 My first experience of the Rum Coffee Broken Dream was on keg at Siren’s tap takeover in the Covent Garden craft beer co. last year. It made a lasting impression on me, so I made a concerted effort to track it down in bottle form. I can honestly say that the Rum Coffee Broken Dream is an excellent successor to that very first pint of stout. Normally, when I hear the phrase ‘barrel aged’ I automatically step back and brace my tastebuds (and my liver) for the inevitable pummelling that’s likely to be coming their way from a 12% (or higher!) imperial-strength monster. But reader, think again – for with this it’s not the beer that’s been aged in rum barrels, but the coffee beans themselves. The rum flavour that this process imparts (combined with the lactose) gives the beer a slightly sweet edge that comes through as a wonderful contrast to its strong, bitter coffee flavours. If you like to add a spoonful of brown sugar to your espresso, this is one for you! The name breakfast stout has a lot to live up to, but if any beer is going to be your first drink of the day, you can do a lot worse than this. The pour has a dark brown colouring, like caramelising sugar, and the head is thin and tasty with a slight froth. Coffee is the prevalent flavour, but there were also hints of blackcurrant in the tangy finish. At 6.5% you can notice the complex malty goodness, but you’re not going to get too smashed. Depending on how many you drink, anyway. 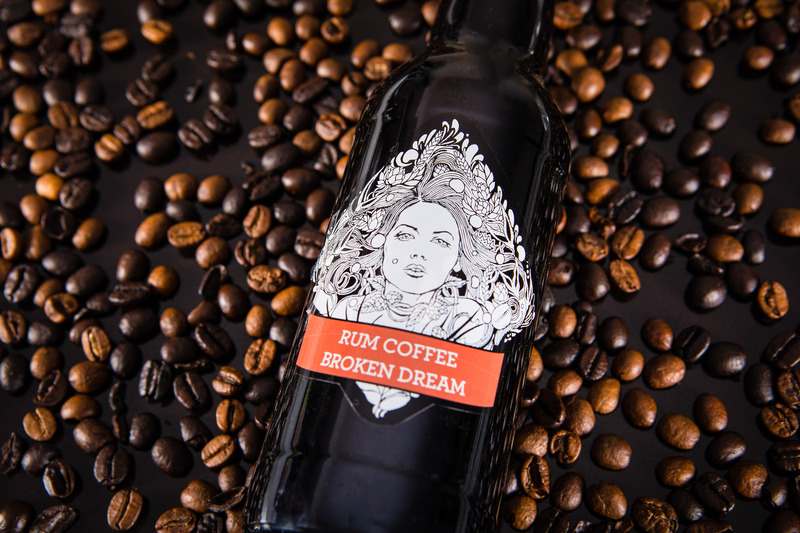 If you’re looking to move from the lower ABV stouts and porters to the knock-your-face-off imperial stouts that tend to dominate beer of the year and ratebeer.com, the Rum Coffee Broken Dream is an excellent gateway. Those dark, rich flavours are present but without the punishing alcohol level. This is a good beer for the winter (or the reality of the British summer), and I would recommend it with something spicy. I had it with some smoky chipotle tacos and it went down a treat. But equally, if you’re having a dinner party, this wouldn’t be out of place arriving with the coffee and tea course – perhaps accompanied with some 70% cocoa chocolate. Can stout be called sophisticated? You bet!